Love. it. all. - especially that little clutch. So cute. One of each please- and wow...#7- soooo good! send all 9 over to me, pleeeeeeez. 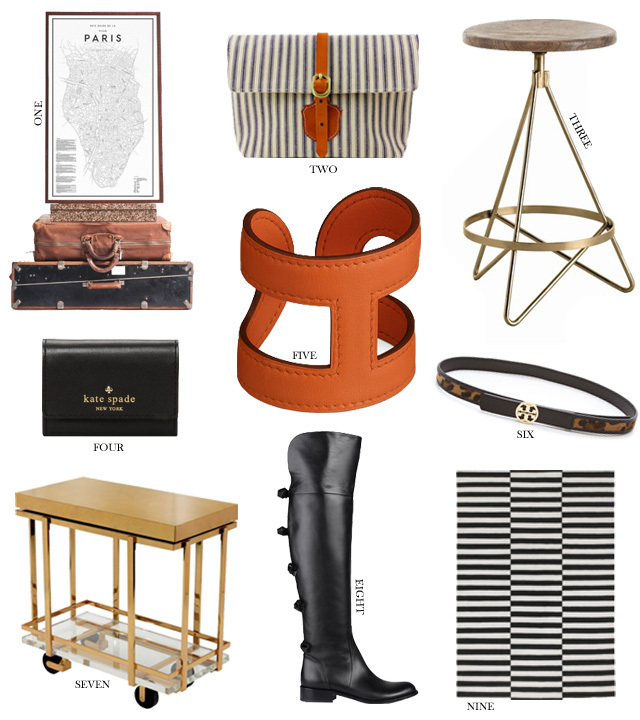 Ahhh this round-up has some sort of equestrian feel to it and I love it! I honestly can't pick a favorite, really love them all! I can't get enough of that stool. Love it. This whole grouping is perfection. The barstool is gor-geous! Love your picks, as always! Darnit, you've got this stuff in my head and now I'm pining for it!!!! !